Road Trip! Do those words send a thrill up your spine? Picture an open highway in front of you, miles traveled behind you, and an exciting destination just ahead. Places to go! People to see! Memories to be made! Following the wagon trails made by pioneers out west…the trails have been made into concrete super highways, but the adventure still remains! Skies of endless blue, miles and miles of endless land stretching out ahead of you…. Staring out at the open plains is only fun for so long. 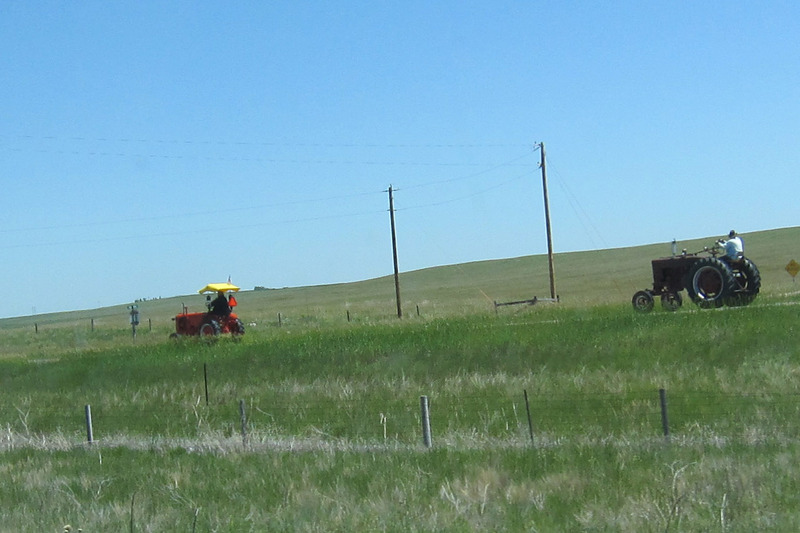 How did those pioneers not go stark raving mad, especially in the middle of Nebraska? Wait! What’s that on the side of the highway? Do you see what I see? 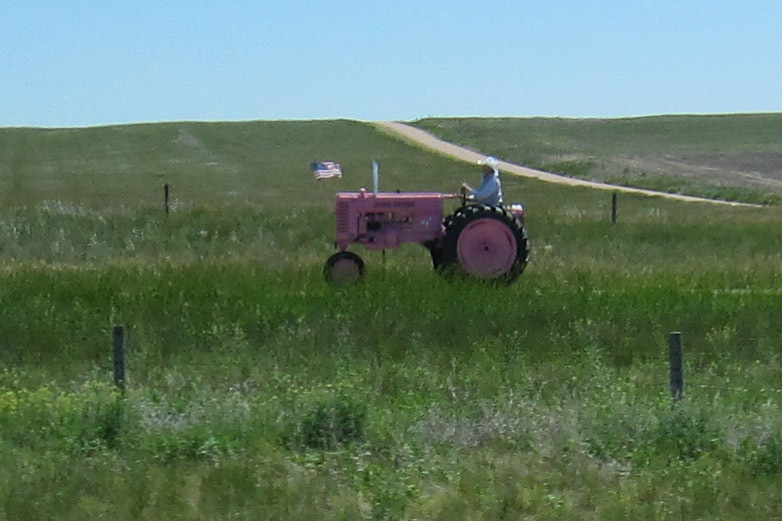 This pink tractor gets my vote for Best in Show. Smack dab in the middle of the Great Platte River Plains is an archway museum. Jack Nicholson’s character stops here in the movie About Schmidt, but we kept on driving. 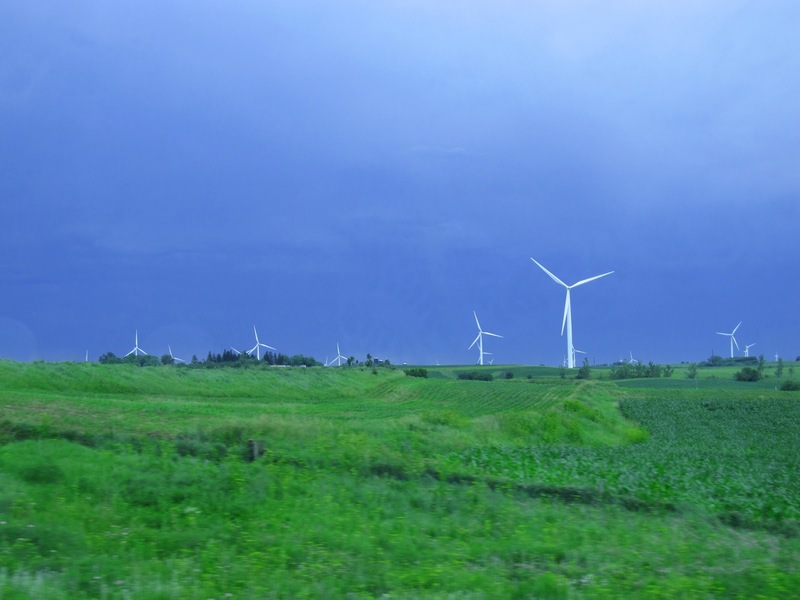 During our travels, we saw many of these wind farms. A new way to harness energy, the turbines twirl slowly in the wind. What do you think about these miles and miles of wind turbines? Cool…or creepy? ← Are We Overwhelmed Yet? 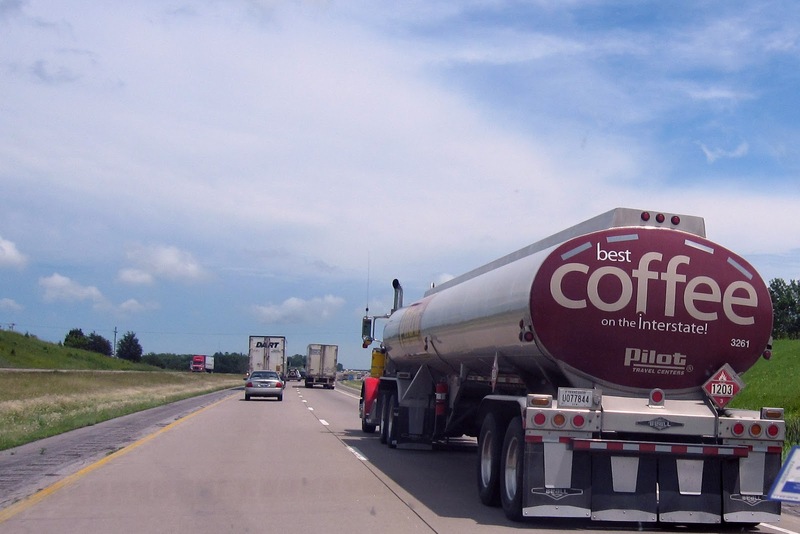 Every summer we drive that highway from Colorado to Iowa and back again! I have very similar pictures, lol. Oh wow! It's Interstate 80! I totally recognize all of that! Yay Nebraska!